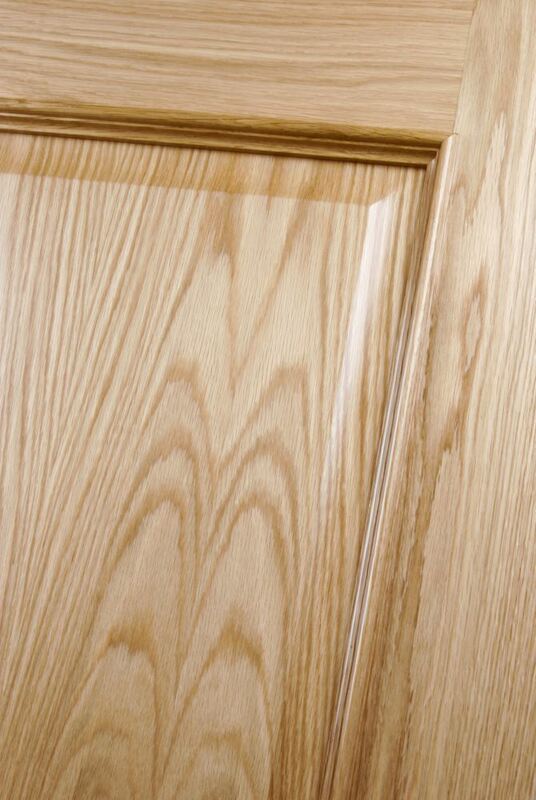 Door features heavily decorated raised mouldings and panel detail in solid Oak. 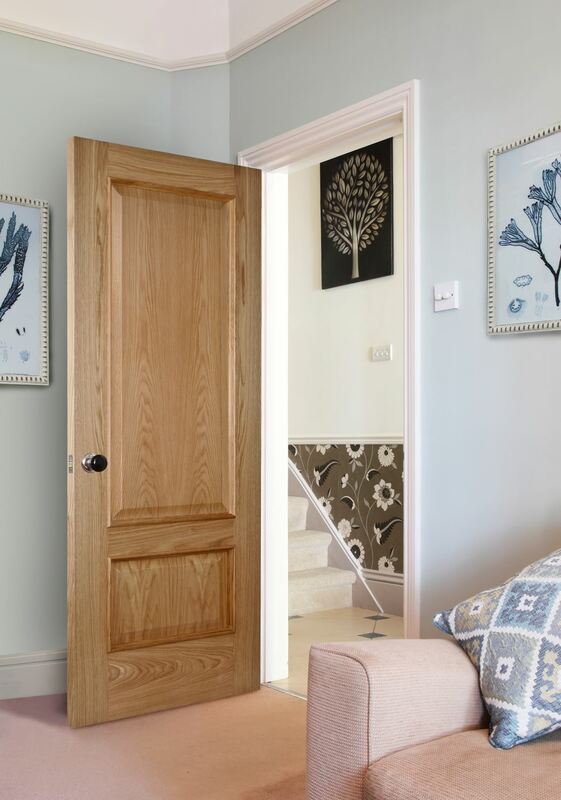 The Iris 2-Panel Oak bespoke door is a traditional oak style, that has timber veneer over a solid core construction with great engineering to make the door more robust and last a long time. Additionally, the door has a highly substantial feel and is manufactured using a White Oak Veneer which is then pre-finished in a clear lacquer to give it a smooth finish. With heavily decorated raised mouldings and panel detail in solid oak and a classy look, this traditional internal door is bound to outshine all other internal doors. This door is made to order. This traditional internal oak door is made of a White Oak Veneer that has been pre-finished in a clear lacquer. With superb engineering and a solid core, the door gives off a substantial feel, no matter the setting it is used in. The great engineering on the door has made it more robust and sturdy and also increases its resistance to bowing, twisting and warping. Since the door is made using only natural timber, there will be some variations in the colour, grain and texture amongst all similar doors. In addiion to this, the door has heavily decorated raised mouldings and panel detail in solid oak, to create a classy and unique look that fits great in your traditional home or office property.